Editor's note: This story has been updated to correct the amount of student debt currently owed in the United States. When Marissa and Jacob Lyda decided to get married in July 2015, the couple was, like many recent college graduates, swimming in debt. The pair's tab for three and four years, respectively, at Salem's Corban University totaled just over $87,000 including interest — a hefty tab, but a situation that isn't unfamiliar to many American families. Currently, student debt in the United States exceeds $1.4 trillion, including both federal aid and private loans. It's a staggering figure that has wide-ranging implications for both individuals and the American economy. "We met at Corban University, and it was an awesome experience, but it was definitely expensive," Marissa says. "When we realized we were accumulating so much debt, it was eye-opening. We were like, 'Oh my goodness, we're actually going to have to pay this off." It's a tale that's all too common these days, especially given the rising cost of higher education. According to the nonprofit College Board, the average cost of tuition and fees in 2001 for a single year totaled $3,500 for public institutions and $17,000 for private schools. By comparison, the College Board reported that those averages had risen by 2016 to around $9,500 and $33,000 per year, respectively. That's an increase of 170 percent for public schools and 94 percent for private institutions over a 15-year period. And for many new graduates, it means delaying the traditional next steps of buying a home, starting a family and pursuing the American Dream. But upon graduating from Corban University with degrees in business management and business accounting, the Lydas decided to take control of their situation instead of letting a dark financial cloud hang over their heads. 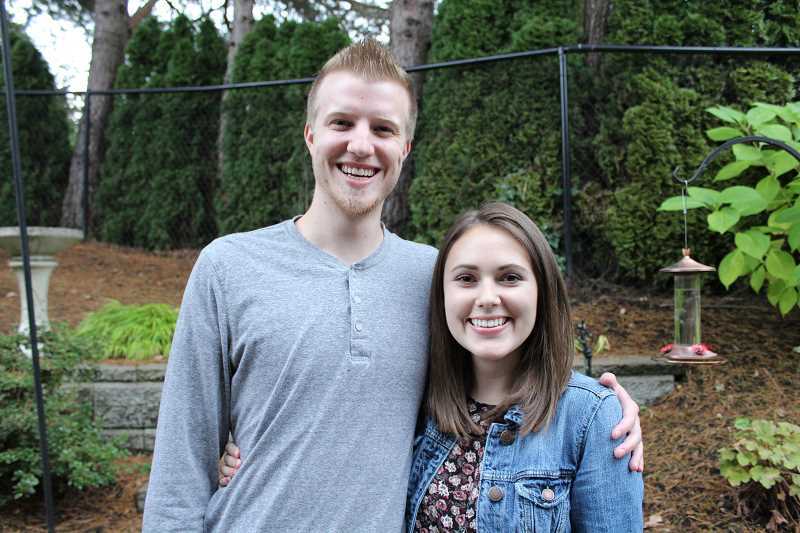 Jacob, 26, and Marissa, 23, had taken a course together during their time at Corban called "Financial Peace University." It's a class sponsored by financial guru Dave Ramsey, and it teaches students tips and tools to use in budgeting toward an eventual goal of becoming debt-free. "It was something that was already on our minds, but this class solidified what we were already wanting to establish as our plan," Marissa says, and Jacob agrees. "It really gave us the tools to do that," he says, "and a road map outlining the 'how to' in accomplishing that goal." After Jacob's graduation in 2014 and Marissa's in 2015 — a year earlier than she anticipated as a way to cut tuition costs — the couple decided to get married. Jacob had been living at his parent's house in Beaverton and working an entry-level job while he waited for Marissa to join him in Portland. As they prepared for a life together, the Lydas took a hard look at how they wanted to attack their mountain of debt. 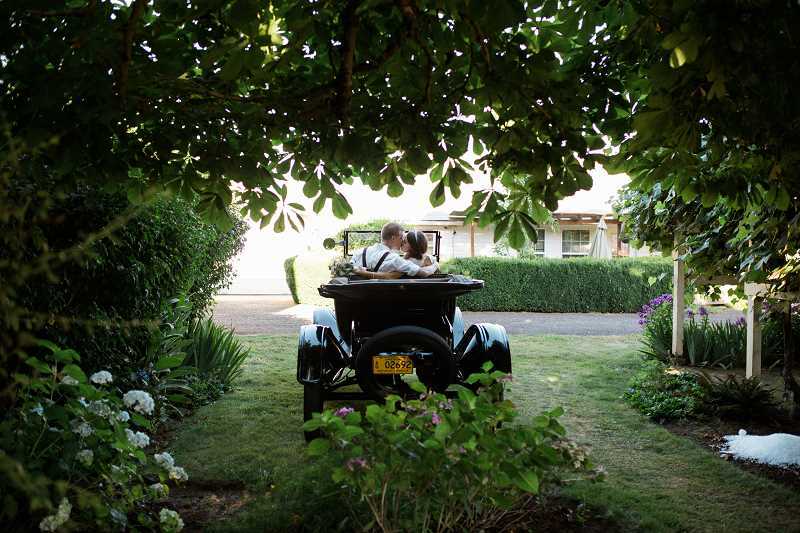 They started by using some of their wedding money to pay off a couple of smaller loans up front before moving into a tiny one-bedroom apartment in Hillsboro. From there, they budgeted everything. But more than that, they agreed to take an aggressive approach by putting nearly 70 percent of their income toward their student loans and using the remaining 30 percent for other expenses, such as housing, groceries and transportation. After the couple's first year together, their lease came up for renewal and their landlord decided to raise their rent. But instead of taking it in the teeth like most renters in the Portland metro area, the Lydas accepted an offer from Marissa's parents to rent a room in their West Linn home. "Her parents looked at our goal and saw we were working hard toward it, and decided they wanted to help us," Jacob says. "It was super encouraging for them to recognize that." The couple also used a handy trick known by Dave Ramsey fans as the "debt snowball." It involves making minimum payments on all debts except the smallest one, which you then attack with a vengeance. When that debt is paid, instead of continuing minimum payments, you use the amount paid on the previous debt on the next-largest debt to create a snowball effect of payments that increase every time you finish paying a debt off. The end goal was sweet, the Lydas say, but the journey certainly wasn't easy. "With all of our friends posting on social media about going on vacation, buying a new car when they graduated college, going out to eat, buying a house, having kids — seeing all these things was really hard, especially when you're just sitting in your one-bedroom apartment watching Netflix. That was our entertainment while we were trying to cut costs," Marissa says. "It was really hard, because we had to say no to a lot of things. We would only go out to eat once a month, and it would be to somewhere like Chipotle or MOD Pizza." But it all became a game, the couple say, as they tried to decrease expenses, increase revenue and strive to see how much of their income they could put toward debt — a process that became a little easier over the past year, they say, when both Jacob and Marissa got better-paying jobs. Jacob now works for Navex Global, a Lake Oswego software development company, and Marissa took a position with Willamette Christian Church as an accountant. Along the way, Marissa started a blog in order to catalog the couple's steps and to share helpful information they were using along the way. It also served as a way to let friends and family know where they were in their journey, as well to recruit other young adults and recent college graduates to start thinking about their debt in the same way. "We really took a hard look at what kind of life we wanted to have and decided to sacrifice now so that we can live better than we ever thought possible in the future," Marissa says. "Our generation, millennials, a lot of times we want things right now. But if you take a minute to stop and plan things out, you'll be much happier in the long run." Well, the Lydas paid off their $87,000 debt over the course of just 27 months. As of the first week of October, they are now debt-free. 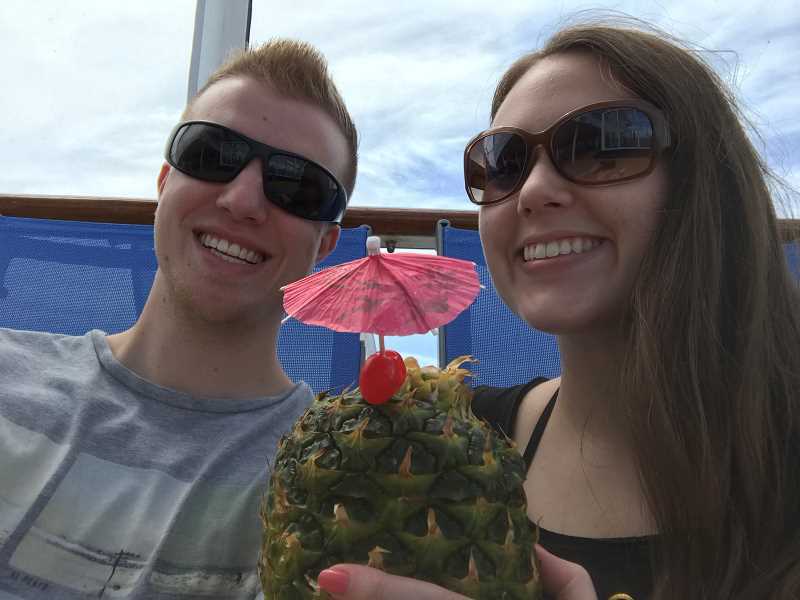 The couple celebrated their financial victory with a week-long cruise in the Caribbean, and they are now planning their next move: saving up to buy a house of their own. They're hoping to save enough money by late winter — using the same formula of 70 percent to savings and 30 percent to everything else — to be able to put a down payment on a home with an easy commute of West Linn and Lake Oswego. "I just want people to know that anyone can do this," Marissa says. "As long as you're devoted and willing to sacrifice for those long-term gains, you can do it, too." For more information on the Lydas' journey from debt to financial freedom, visit Marissa's blog at thebudgetingwife.com.